The Kremers House, completed in 1889, is located at 8 East Twelfth Street. For 28 years, the Dr. Henry Kremers family called the grand estate home. Three years after the physician’s death in 1914, his wife and five children sold the home to the City of Holland. In keeping with the Kremers family’s wishes, city officials designated the residence as the site of Holland’s first public hospital. In 1919, before renovations were complete, the hospital staff welcomed its first patients. Presently, the historic residence is owned by Rein and Kay Wolfert, proprietors of the Centennial Inn Bed & Breakfast. On July 15, 1850, Henry Kremers was born to Williem and Anna Heins Kremers in Zeeland Township. As a young boy and teen, Henry Kremers and his five siblings assisted their father on the family farm and attended the local school. In 1868, Kremers enrolled in Hope College. After graduating in 1873, Kremers taught school for one year. In fall 1874, he entered medical school at the University of Michigan. He received his M.D. in 1876. Upon completing his medical education, Dr. Henry Kremers married Alice Van Zwalawenberg. The young couple settled in Henry Kremer’s hometown of Drethne, Michigan and had five sons: William, Robert, Edward, Clarence, and Ernest. In 1882, the growing family relocated to Holland. Kremers established a medical practice in the city and remained a student of his field. Over the course of his career, Kremers attended to patients of all socio-economic statuses. He served as Surgeon of the Pere Marquette Railroad. The devoted physician also provided medical care to Holland’s poor and the city’s Civil War veterans. In 1889, Kremers ran on the democratic ticket in Holland’s mayoral election. The citizens of Holland elected the respected physician. It was the first time in the city’s history that a democrat occupied the position. In his inauguration speech, Kremers spoke on the constitutional rights of man, the need to decrease taxes, and the necessity of improving the city’s rudimentary sewage system. Kremers served for one term. Following his political victory, Kremers commissioned George Dalman to erect a residence suitable for a man of his elevated status. The prominent physician selected a lot on the corner of Twelfth Street and Central Avenue. From the site, the family could behold a gorgeous view of Centennial Park. Directly behind the grand home, Dalman constructed a two-story carriage house. On July 15, 1914, Kremers died. The doctor passed away on his birthday at age 64. His wife and the couple’s five sons survived him. Two years after Kremer’s death, Holland’s City Council discussed the city’s need for a public hospital—a crusade Kremers had championed throughout his career. 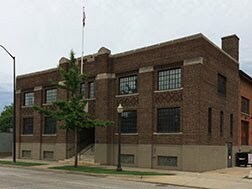 In 1916, the only comparable facility was private hospital located on the north side of Holland. A registered nurse and her mother operated the private care center. City Council members launched a campaign to raise $15,000. It established the Holland Hospital Association and selected board members. During the fundraising process, the committee received a letter from William Kremers, the eldest son of Henry and Alice Kremers. William Kremers proposed the Kremers estate as the site of Holland’s first public hospital. He offered to sell his family home to the city for $15,000. On behalf of his late father, William Kremers also made a $5,000 donation to the Holland Hospital Association. The donation reduced the cost of the Kremers estate to $10,000. The city accepted the Kremers family’s gift and purchased the residence in 1917. The Kremers family’s generosity made it possible for the City of Holland to establish Holland Hospital. The hospital’s staff consisted of two supervising nurses and six staff nurses. Nursing Superintendent Miss Mabel Miller and Superintendent Assistant Miss Rena directed Holland Public Hospital’s nursing team. Both women were graduates of Butterworth Nurses Training School in Grand Rapids, Michigan. Nurses pulled twelve-hour shifts, from 7 a.m. to 7 p.m. and from 7 p.m. to 7 a.m. During the day shift, five nurses were on duty. Only one nurse worked the night shift. Staff nurses were required to work one twelve-hour shift each day. When the patient load required it, the staff nurses also worked an additional half-shift each week. The nurses, who lodged on the carriage house’s second floor, were given four hours off every Sunday. Within less than a decade of opening its doors, it became evident that the medical facilities were no longer sufficient for the expanding city. Since the Kremers House was land locked in a residential neighborhood, it became essential for the hospital relocate. In 1928, the hospital staff moved from 12th Street to its current location, 602 Michigan Avenue. From 1929 to 1938, the City of Holland leased the Kremers House to Hope College’s Knickerbocker fraternity (ΚΗN). Following the departure of the Knickerbocker Fraternity in 1938, the City of Holland renovated the Kremers House for its use as a public museum. On May 10, 1940, the Netherlands Museum opened to the general public. 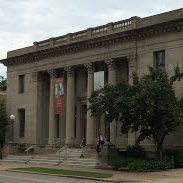 The organization, which was established in 1937, was dedicated “to [interpreting] the rich heritage of the founders and the dynamic epic of this community.” The Netherlands Museum operated out of the Kremers House for 53 years. In 1993, the museum relocated to the old Post Office at 31 West Tenth Street. The Kremers House remained vacant for two years. In 1995, Rein and Kay Wolfert bought the estate, restoring the building to its original grandeur. 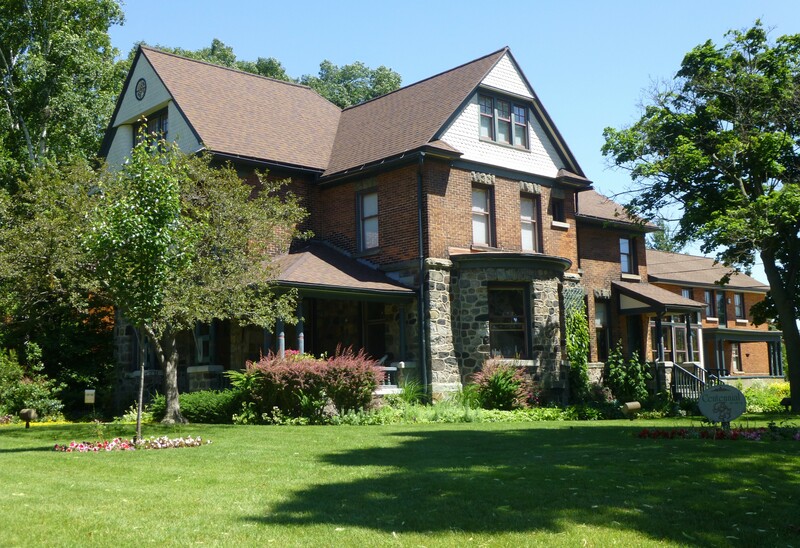 After restoring the property, Rein and Kay Wolfert opened the Centennial Inn Bed & Breakfast, which has become a well-known and highly visited bed and breakfast for tourists visiting the Holland area. H06-1601, Osborn, Barbara (1892), Joint Archives of Holland, Hope College, Holland, MI. 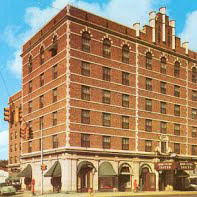 “Centennial Inn History.” http://www.centennialinnholland.com. Accessed June 23, 2015. “Mayors of Holland: Henry Kremers.” http://www2.cityofholland.com/mayors/12.htm. Accessed June 23, 2015. “The Netherlands Museum.” Michigan Historical Markers. 2015.